Unfortunately, approximately 80-90 percent of the population suffers from spinal pain at some point. People who are overweight or obese, and who smoke, lift heavy objects, or had a previous episode of back pain, are more likely to experience back pain. – When standing, keep one foot slightly in front of the other, with your knees slightly bent. This position helps to take the pressure off your low back. – Do not stand bent forward at the waist for prolonged periods of time. The muscles in your low back become deconditioned in this position, which may lead to pain. – At all times, avoid twisting while lifting. Twisting is one of the most dangerous movements for your spine, especially while lifting. – If the item is too heavy to lift, pushing it is easier on your back than pulling it. Whenever possible, use your legs, not your back or upper body to push the item. – If you must lift a heavy item, get someone to help you. – Keep your knees slightly higher than your hips, with your head up and back straight. – Avoid rolling your shoulders forward (slouching). – Try to maintain the natural curve in your low back. – When reaching for something above shoulder level, stand on a stool. Straining to reach such objects may not only hurt your mid-back and neck, but it can also bring on shoulder problems. – Do NOT bend over at the waist to pick up items from the floor or a table. Instead, kneel down on one knee, as close as possible to the item you are lifting, with the other foot flat on the floor and pick the item up. Or bend at the knees, keep the item close to your body, and lift with your legs, not your back. – When carrying objects, particularly if they are heavy, keep them as close to your body as possible. – Carrying two small objects—one in each hand—is often easier to handle than one large one. – While the proverbial jury is still out, we suspect that extra weight puts undue strain on your spine. Keep within 10 lbs. of your ideal weight for a healthier back. “Beer belly” is likely the worst culprit, as it puts unwanted pressure on the muscles, ligaments and tendons in your low back. – The most efficient and effective way to reduce weight is by eating a sensible diet and exercising regularly. Consult with your doctor before beginning any exercise program, particularly if you have a health condition. – Sleeping on your back puts approximately 50 pounds of pressure on your spine. Other positions may be better. – Placing a pillow under your knees while lying on your back cuts the pressure on your spine roughly in half. – Lying on your side with a pillow between your knees may also reduce the pressure on your back. – Never sleep in a position that causes a portion of your spine to hurt. Most often, your body will tell you what position is best. – Smokers have more spine pain than nonsmokers, and they also heal more slowly when they have an episode of back pain because the chemicals in tobacco smoke restrict the flow of blood to the tissues in and around your spine. 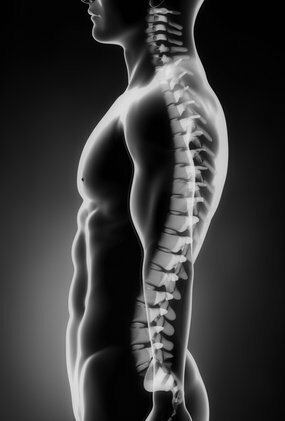 Spinal physicians make a big difference when you can improve your spine. It is interesting that back pain is so common in society. I thought that I was the only one with chronic back pain. It’s interesting to know that people who suffer from back pain are less healthy than those people who don’t. Thanks for providing useful tips for a healthy spine. my brother has been having spine issues for the past weeks, I think I will advise him your tips, and help him find a clinic to assist him further. My spine has been really bothering me lately. I liked that you pointed out that the way I am sitting could be the reason for that pain. It is good t know that I need to try to maintain the natural curve in my lower back. It seems like I might want to also get an adjustment on my spine from a chiropractor as well as changing how I sit.